New GMC Vehicles - Browse The Selection At Our Dealership In Fort Collins | Markley Motors Inc. Founded in 1911, GMC continues to be an innovative leader in the automobile industry. GMC’s lineup of utility vehicles and trucks makes it the go-to choice for those who need a rugged and reliable vehicle here in Northern Colorado. 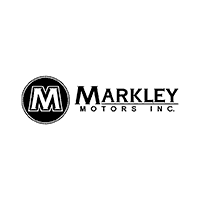 At Markley Motors, our dealership in Fort Collins has been a proud part of the GMC tradition for decades. Here you’ll find the GMC SUVs and trucks you love and trust. We offer our services to buyers in Loveland, Greeley, Longmont, and Windsor. Visit our dealership in Fort Collins today, or click or call to connect with a sales consultant to find out more.